Many callers had technical questions about blockchain technologies generally such as smart contracts and the desirability of an eventual Haitian diaspora bitcoin bond. Other callers expressed skepticism at the propriety of going after this technology in a country where people have so many unmet needs and whether its adoption will only benefit those living in Montagne Noire (i.e. the elites). One caller thought that Haiti does not really have an economy but an oligarchy which controls things through monopoly. Lamothe agreed and argued that increased foreign direct investment could be a solution to this problem. 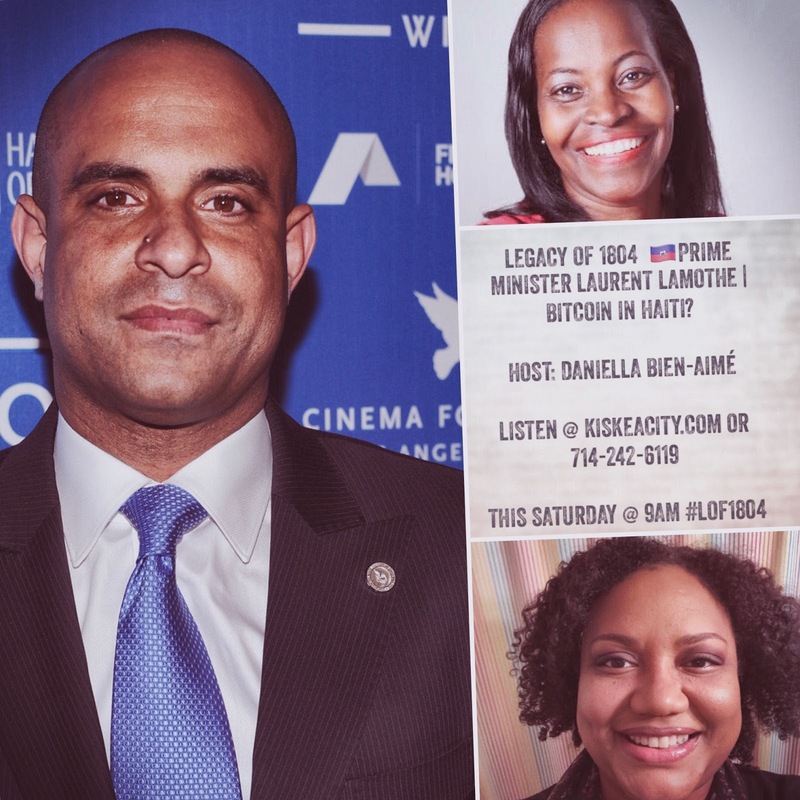 As Lamothe served as prime minister of Haiti under the Martelly administration for two years, there were inevitably questions about his tenure, including his unmet promise to bring electricity to all Haitians in 6 months and the neo-duvalierist leanings of the Martelly administration. We closed the show discussing Lamothe's smart village project in Nan Panyol and his vision for Haiti going forward. Pas de moyen d'emettre en français aussi?